Residents of Holden Hill are concerned and fearful of potentially asbestos-ridden debris that has yet to be removed. The debris is said to be from an exploded house four months ago. The township’s council is not able to remove the remains because it says the responsibility lies with the homeowner. The house suddenly exploded and was reduced to rubble in October. According to Safework SA; asbestos exposure can lead to asbestosis and other serious ailments. 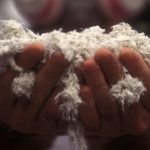 SA Asbestos Diseases Society president Ian Sheppard stated the urgency for the site to be cleaned up because short-term exposure to asbestos fibres is as equally dangerous and long term exposure. Residents are concerned because no one is taking charge or responsibility for the clean-up and asbestos fibres may be blowing in the wind unbeknownst to residents.